This balcony railing displays a diaper or scale pattern. On top and bottom are borders with Greek key or Greek fret pattern. 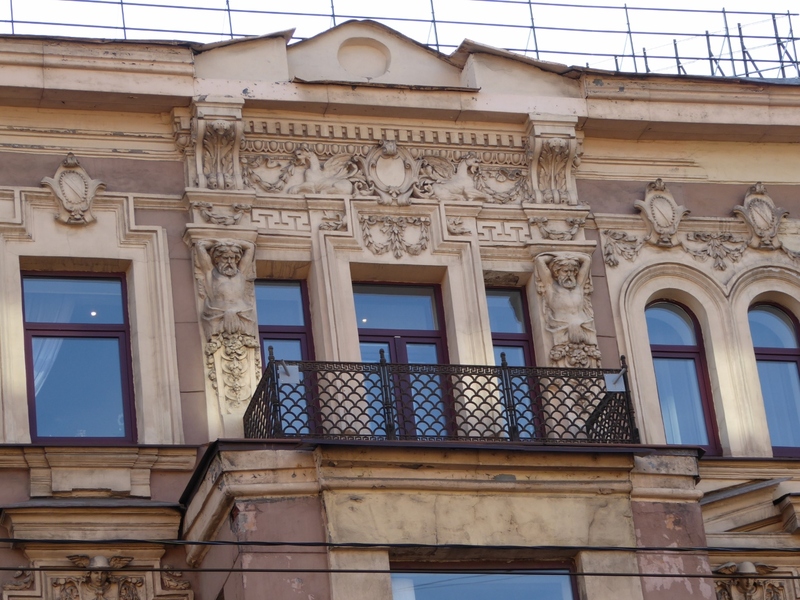 The balcony door behind is flanked by Greek figures and plaster decorations including vegetative motifs, garlands, medallions and Greek key pattern.